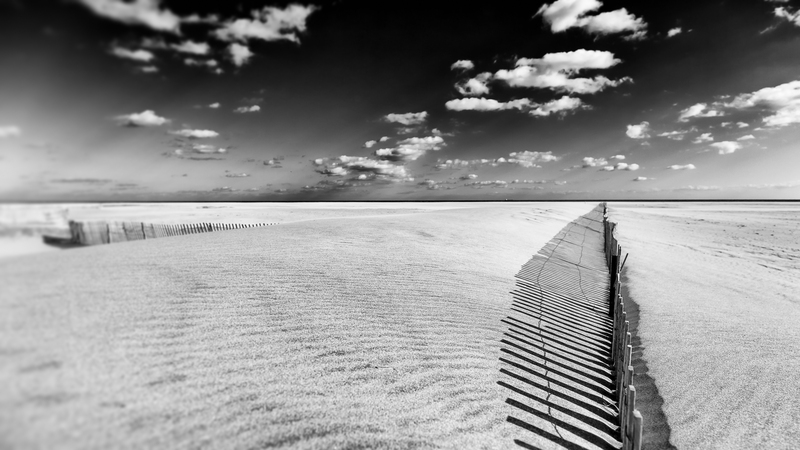 Love how the lines in the sand echo the fence slats. Great B&W processing! Thanks for your kind words! Mucho appreciated! Lovely photo. I have this vision of you just wandering along that beach all day, not wanting to leave. That’s beautiful! I love the shadows from the fence.